Eleanor- "Gone in 60 Seconds"
Aren't these great pictures of Eleanor? 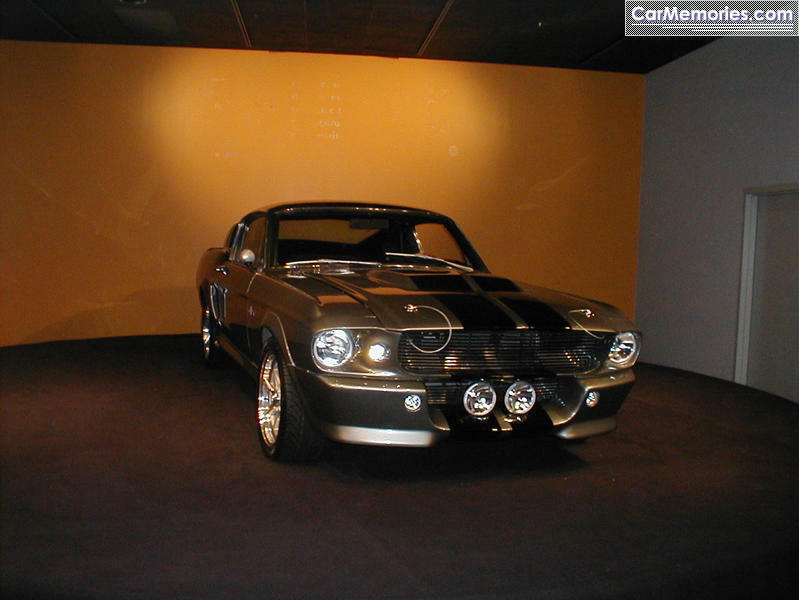 This '67 Mustang was modified to become a customized Shelby GT500 for the movie. The front air dam was not available as an option in 1967. The hood is non-stock without an open hood scoop. 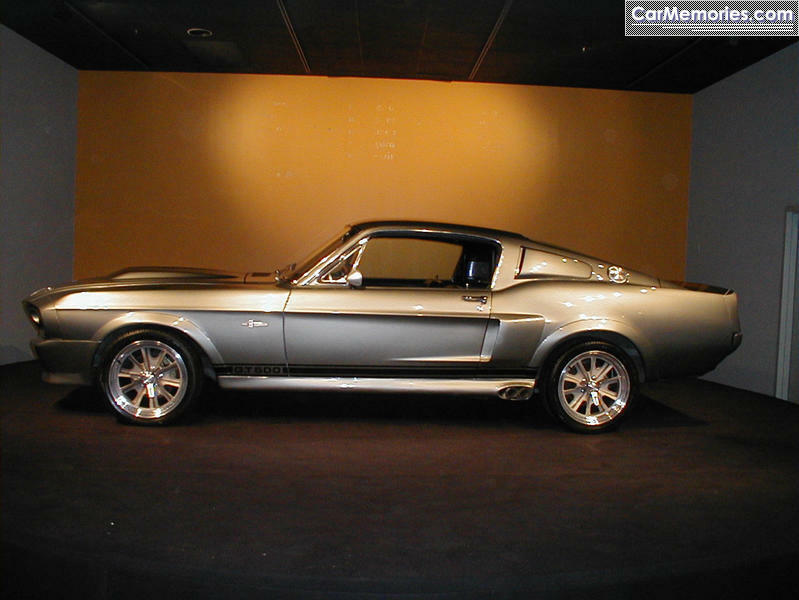 Eleanor has side exhaust pipes painted the color of the body. And this car has aftermarket wheels and high speed, low profile radial tires and rims. 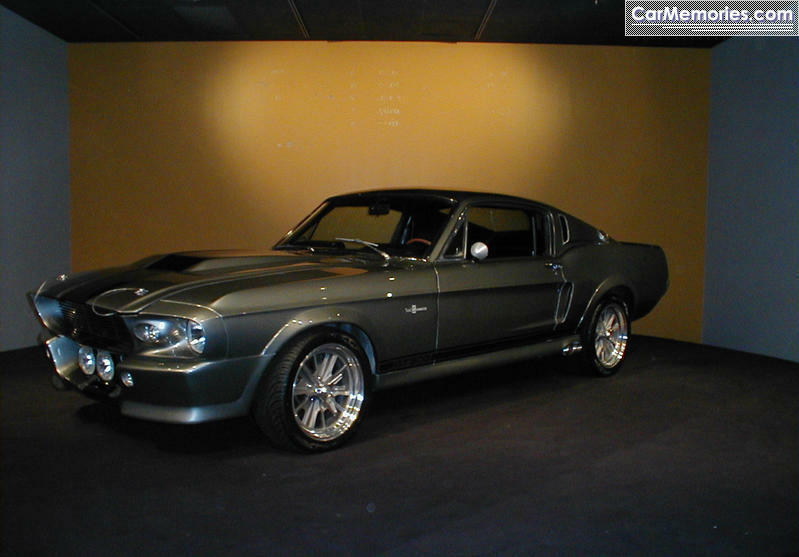 Shelby Mustangs built in 1967 came with side scoops, roll bar and fog lights. The fog lights on this car are not in a stock position. The fog lights from the factory were mounted in front of the radiator.